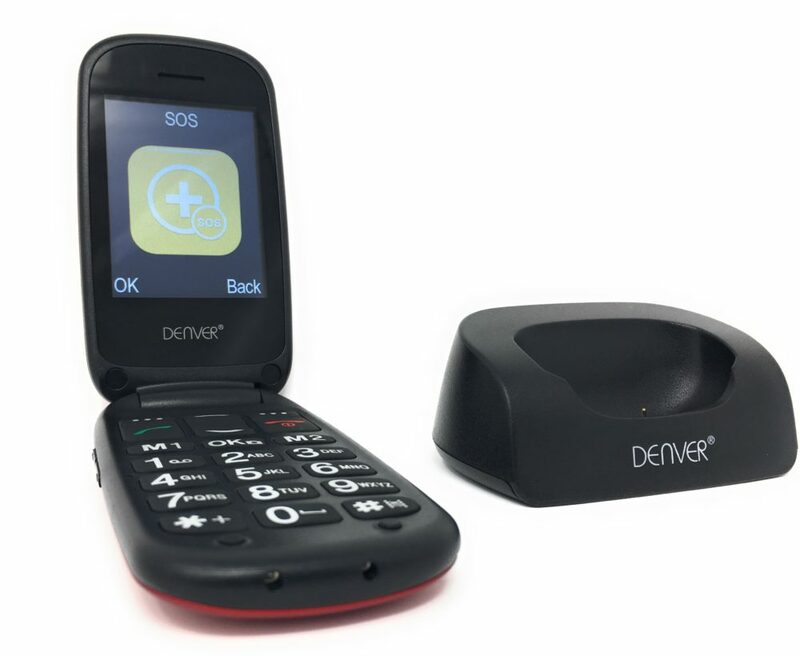 The Denver GSP-130 senior mobile phone makes communication for the elderly completely fuss-free. 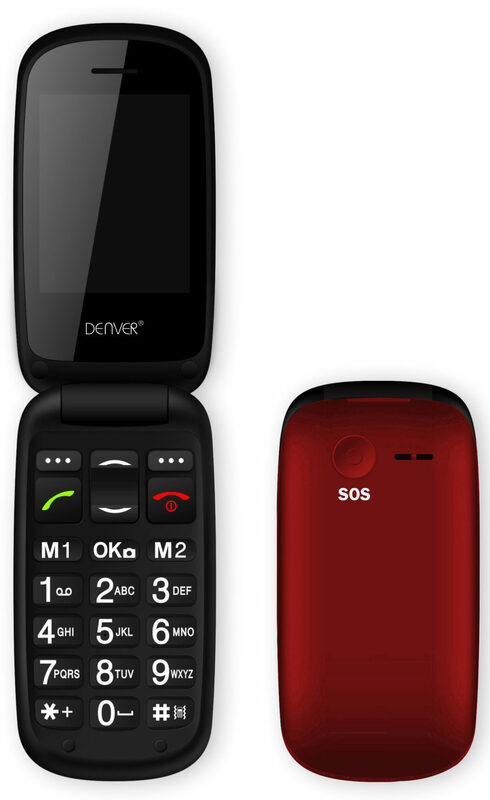 Packed with special features this easy-to-use mobile phone has been designed with simplicity in mind. It has big buttons for easy dialling, large menu icons and a clear colour 2.4” inch display. 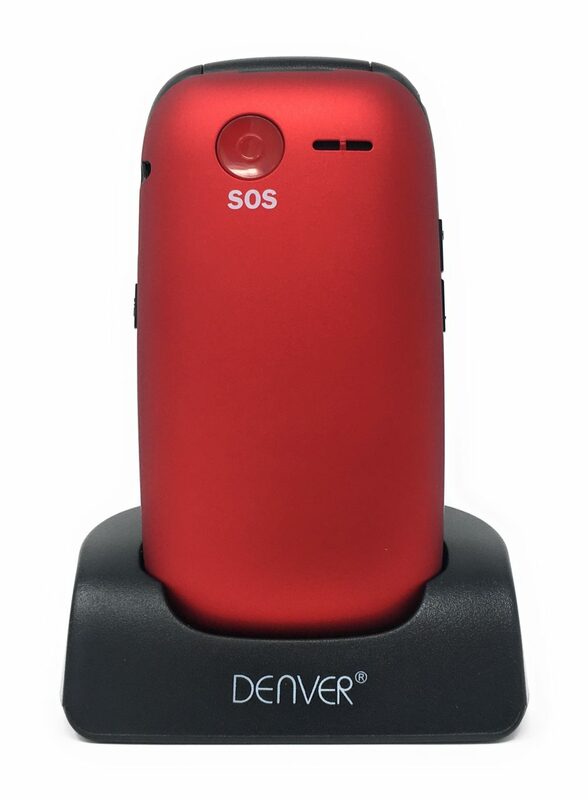 The SOS button can store emergency dial numbers so help is never far away. 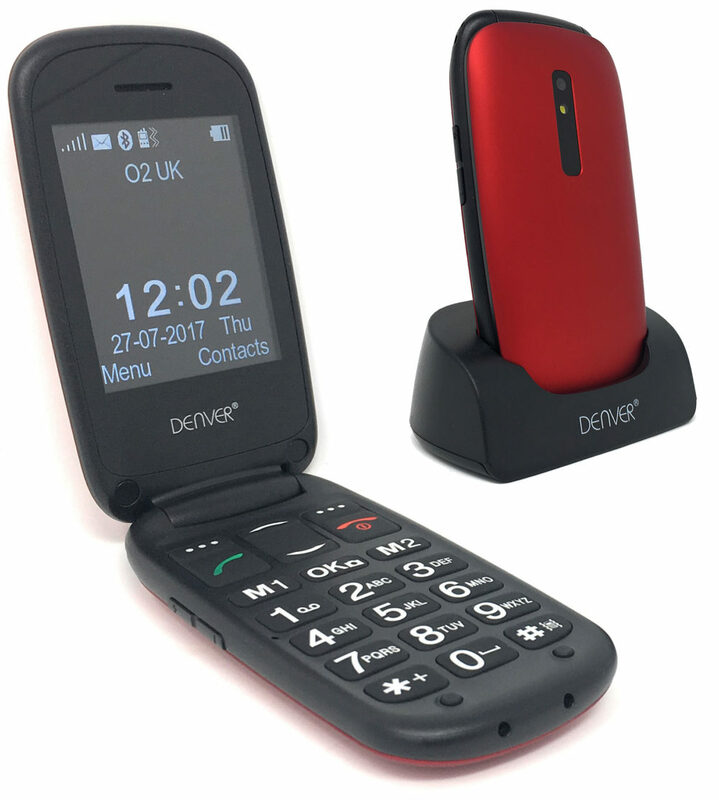 Other features include 0.3 megapixel camera, SMS text messaging, phone book with fast dial numbers, Bluetooth for connecting to a headset or speaker, built in torch, FM radio, alarm and calendar. Plus, there’s a Micro SD card slot for storing photos & audio. 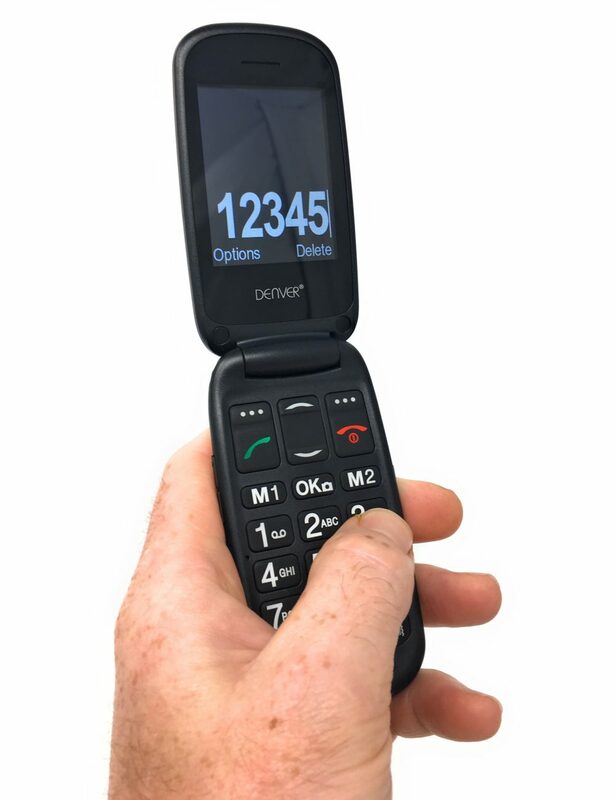 Use this big button senior mobile phone on any network (not including Three network as 3G is not supported). Now avaiable in red as well as the original black colour. With a large 2.4 inch colour display, large backlit buttons, large menu icons and a charging cradle the GSP-130 senior mobile phone is very easy to use. Help is always at hand with the clearly marked SOS button on the front of the phone enabling you to make an emergency call quickly if necessary. Simply assign your emergency dial numbers and this one-touch button will connect you straight away. 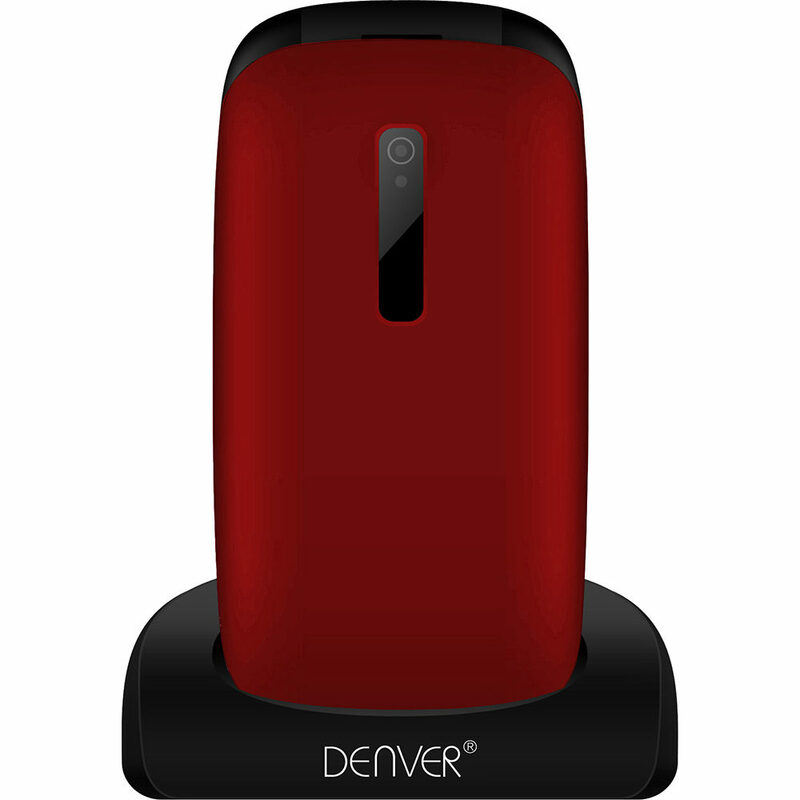 The built-in battery gives a long standby time of approximately 120 hours and a talk time of 180 minutes. 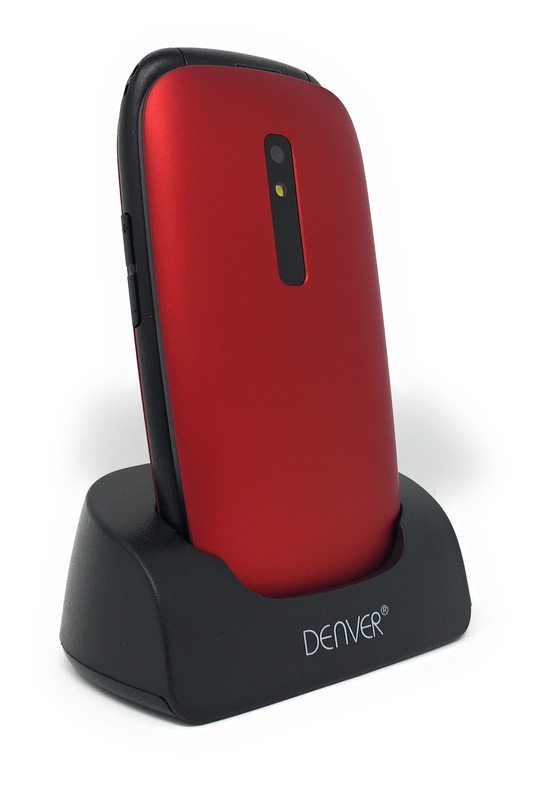 When the battery is low charging is a doddle; simply place the phone into the charging dock eliminating the need for cables. No need to guess as the battery indicator will let you know how much battery life is left. In case you forget an alert will sound and ‘low battery’ will be displayed on the screen. This fully functioning phone is packed with features including a 0.3 megapixel camera, SMS text messaging, phone book with fast dial numbers, Bluetooth for connecting to a headset or speaker, built in torch, FM radio, alarm and calendar. 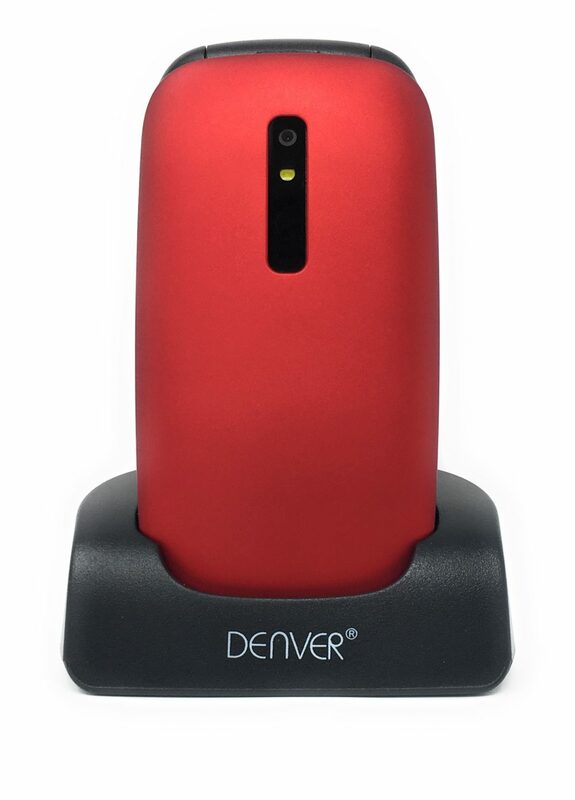 Plus, there’s a Micro SD card slot for storing photos & audio. Bought for my 84yr old Mum. Much better than her old phone. Clear screen, large buttons, clear ring tone, she was even txting several friends at the same time! Ordered this phone for my mother as her old one was too small for her to see the buttons without her glasses, this one she can see and use very easily. She loves the fact it’s got a charging pod, says it’s easier for he to remember where she’s put it!! It calls, texts and takes pictures and that’s all she needs nothing too complicated for her. Bought for my mother. Basic phone as all that was required with big buttons for her arithitic fingers……… PERFECT. A neat, good looking, little mobile which fits easily in your pocket with the folding mechanism. Description says it all. Hi, yes absolutely. Power cable and charging cradle both included. You should be able to use the down arrow on the keypad to scroll through the text message.